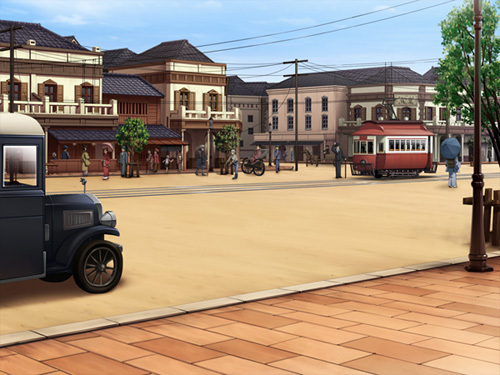 It took me quite a while to finish Taisho Mebiusline by Love Delivery. But that’s partly thanks to me being distracted by other games and I don’t want to discourage anyone with this. In fact, Taisho Mebiusline is very worth the time. Do note that this is a R-18 BL game so there is mature content. This will be a non-spoiler review, and only CGs I’ll show are featured on the official website already. The rest are random screenshots of the OP, background. 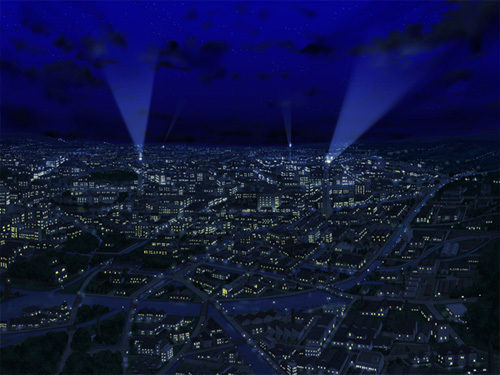 The official website’s synopsis already gives you a clue on what to expect from the game – supernatural elements as our protagonist, Hiiragi Kyouichirou, is able to see spirits after he recovered from an illness which threatened his life; some amounts of politics as the army plans to make use of those same dead spirits to counter the threats from abroad. The character relationship chart shown also gives a basic presentation of each characters’ stake. Kyouichirou encounters Shigure running away from the pursuits of Tatebayashi Kai and his team – only to personally witness the latter call upon a dead being to fight. Misaki, a mysterious stranger, helps Kyouichirou out time after time but he also constantly warns Kyouichirou not to get further involved in the messy affairs of the army and spirits. 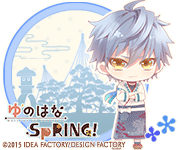 Having heard reports about Kyouichirou and Misaki, Senge Iori starts to develop a keen interest in the former. While both of them serve the army and make use of the dead, Kyouichirou observes that there’s a tension between Senge and Tatebayashi. However, all of which I’ve just described is really just the tip of the iceberg. The thing that stood out for me is that no matter which route you delve further into, the remaining key characters still continue on with each of their goals – in other words, they don’t become static and are not abandoned just like that. The best example is Senge as even if you go and do the other 3 routes, he does continue to pursue Kyouichirou when given the chance. The only exception is probably Misaki as he doesn’t appear as much in 2 routes, though one may argue that he has his own special circumstances too. Also, the fact that the Happy Ends are not 100% perfect in a sense as they don’t force for one. Another thing I have to commend on are the sub-characters. I was surprised at how much development some of them got, in particular Tatebayashi’s team (and his butler) – I even joke that the Ise twins stole the spotlight at one point. Maybe it’s not a joke. Anyway, let me now review in a more systematic way. 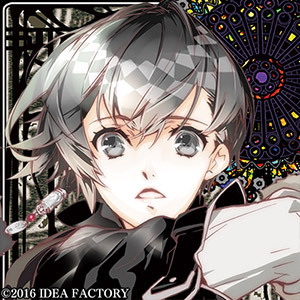 Plot: while it’s for certain that Misaki’s route reveals the most (since his contains the True End), each route still does have substantial plot. I personally played in the order of Tatebayashi, Shigure, Senge, Misaki, True End as recommended by a friend. I have seen others recommend playing Shigure first – I think it’s up to you on whether you’d like to start with Tatebayashi or Shigure as both of them have entirely different focuses. However, I strongly recommend on leaving Senge, Misaki, True End for last. Going back to the plot, it is nice to see that every route actually drops little hints on what the True End is all about – at the same time, while the True End makes references to the revelations from all the previous routes it doesn’t necessarily explain everything. In other words, all the routes are worth your playing time. Individually: Tatebayashi‘s route is more driven by all the different ongoing plots and awesome sub-characters so his route has a lack of romance. But as a first route it managed to capture my interest enough. Shigure‘s route was the biggest and most pleasant surprise for me as I didn’t expect to love him and the couple so so much. My first impression of him was the weakest among all the characters, but his route did him every justice he deserved – plot, character + relationship development, humour, sad scenes. Senge‘s route…Senge Senge Senge simply put, is painfully good. From the start, I expected his route to be interesting since he’s always at opposite ends with all the other characters, including Kyouichirou. As such, I enjoyed how they handled Kyouichirou here – you can see him trying to resist, struggle, and (re)negotiate with himself and Senge. And Senge is easily the most complex and well-developed character in the game for me, and maybe that’s why I found his route to contain the most amazing writing, imagery, chemistry and dialogue. That being said, I did mention the word “painful” too so you should mentally prepare yourself. Misaki‘s route definitely reveals the most revelations and I was pleased with how mythology was tied together with some of them. Those mainly focus on Kyouichirou and Misaki though. The True End picks up after this and is in my opinion, the near-perfect end as everything gets tied together to the bigger plot that occurred in the shadows all this time. It is up to the person to decide on whether this bigger plot was anti-climatic or not – but I think that all the previous clues was certainly leading up to this direction and so I was satisfied. Characters: My favourites ended up being Kyouichirou, Shigure and the Ise twins it’s a coincidence that all the CGs feature them. That being said, I really did end up liking pretty much everyone (even though I enjoy making fun of Senge). Kyouichirou retains his characteristic traits in each route – a strong and stubborn sense of his form of justice, loyalty to his country; and once he gets himself into something it is very, very difficult to keep him at bay. Oh, can’t forget about his adorable love for senbei too! The same about characteristic traits can be said for the other characters, but it’s up to Kyouichirou on how much he can change/support him – with the exception being Senge in certain Ends in my opinion ‘cos it’s probably too late in the game to change him significantly and that’s what made his route painfully interesting but anyway I’m ranting. Interface/Art/Music/Extras: The interface pretty standard though I really loved the fact that if you mouseover the top of the game screen, only then does the menu drop down – it’s a cute and appreciated touch. And though it’s a limited amount of space, they also allowed you to “save” your favourite game lines. The art is lovely though slightly inconsistent at times in terms of the CG art. Also, it’s worth noting that you have the option of CG animations and while it is a bit awkward at points to see only certain elements animated – routes like Shigure’s really made full use of those animations. The background art is decent enough. The music is amazing and is certainly one of the highlights of the game. You unlock the standard CG gallery, scene replay gallery, music section – and when you fully complete the game you can access the theme songs and ED songs. Bad Ends: Yes, I played every one of them. It is interesting to note that only Tatebayashi’s has CG (scenes), oh and one of Shigure’s. The rest are mostly dead ends in a sense Amnesia so they do not give much insight, except maybe for Misaki’s which teases you with little hints on what Misaki’s true identity might be. The only bad end which I was impressed by was the last one for Tatebayashi’s, as it’s pretty much a “what-if” situation and it really highlights the depth of Tatebayashi’s loyalty. Voice-acting: I would love to say that everyone did a fantastic job – but I have to admit that I giggled at a few of Misaki’s lines for uh, certain reasons. But other than that, amazing effort to everyone – in particular to the voices behind Kyouichirou, Shigure, Ise twins, Senge. Bias, what bias? Language: The language is heavy, I won’t lie. Terms you’re used to reading in hiragana/katakana – they use kanji. Simpler terms you’re used to reading – they use fancier/more difficult ones. There’s quite a bit of terminology too. Despite all of this though, I still think that it’s worth the effort. All in all, I really enjoyed Taisho Mebiusline. While the game does have its light-hearted moments, it is probably best to expect a heavier game in general. I mean, it’s quite telling when the first game choice you’ve to make for Kyouichirou is how he feels with regards to the military expansion and growth for the country at the cost of its other people. Oh, and for people wondering about the meaning behind the game title – while they do provide you several interpretations on what メビウス can mean, the True End does explain the full title. I do recommend this game, and I hope that this review has given some insight on what you can expect from it. Umm usually people recommend Shigure’s first because the plot is less heavy and it is more balanced (with very cool animation). Tatebayashi’s route is plot-heavy and it took me a while to get into it – but once I saw the deeper plot I got quite engrossed haha. I guess if you want to start with a more balanced route – go for Shigure. If you’re curious about the deeper plot and wanna be spoiled a bit – go for Tatebayashi. Additional opinion: the romance in Shigure’s route is sooo cute (also I’m weak to his voice). The romance in Tatebayashi’s route is very shoujo haha. Heheheh yay I get to see your reactions to Shigure first then! Yes I like Kyou’s voice a lot too! ♡ i like it when the characters chant the norito too – especially Misaki and Shigure. It’s the last line which prompts me to see Taisho Mebiusline = Taisho never ends. The Queen is stuck in her own (mad) loop of thought (to be together with her loved one). She wants to revive him through her child, and even if her child’s body ages and passes away she’ll certainly want to revive her loved one again. Taisho era will never end since the Emperor will never ‘die’ as long as this Queen keeps doing this. On the flipside, once they acknowledge that the Emperor has indeed passed away and Tenshi inherits the throne – it states that Taisho era has ended and a new era (Showa) has started. Sorry for the rant, but I’m just going through the thought process I went through on how I came to understand “Taisho Mebiusline”. I hope this clears up your doubt! Damn! That’s pretty deep thought I must say. Thanks! Now I understand the game much clearer with knowing the meaning of the title again. When I think again, Senge said that their relationship will go in Mebiusline or something along the line, so it makes perfect sense after reading your explanation. Shigure ended up surprising everyone, didn’t he? He’s one of the least popular characters before the game shipped, and a week after that he’s everybody’s favourite. I also find Kyouichirou to be a breath of fresh air—-sure, he’s probably not as *badass* as popular BL protag trends seem to be, but the way he processes his situation and reacts to them is more manly than most, in the traditional Japanese sense of manly. My favourite is Kyouichirou = Shigure > Senge > Misaki > Tatebayashi = Ise Twins, but I love everyone to ridiculous levels. I think the difficult language actually helps the game, in the end—-you get this certain *feel* for the period and its way of thinking that I simply have never ran into in other works set in the same era but using more modern language. (I’m a fan of the period.) And considering what it’s about, it really is imperative that you know why the characters think what they think. The writer is a fan of old literature and etymology, and it shows. OH, and that last picture. I think I saw some liner notes that said ‘the most important part of the title picture is that they are looking different ways, because they all dream of a different future’. That’s a neat touch, to me. I think based on character design alone, Shigure didn’t look as attractive as the rest so yeah. X’D I don’t play BL games as extensively as other people but indeed, Kyouichirou was such a joy to be with. To be honest, he said some of the most manly lines in the game – like his resolution to Senge. I do agree that the language does add to the atmosphere of the game – even if every scene with the royal family made me play slower (lol).